During this time it is perfect for you Aries to look at and address Conditioning that has served you well up to this time and is due for review & possibly change. Your inner strength is ready to break free to a larger degree. You know this because your movement has connected you to new Possibilities and you have awareness that there is something holding you back! Guilt at moving away from Family and Culture is huge and resolving your individual right to live life pursuant to ‘YOUR’ desires gives you the impetus to listen to your Inner Voice and move consciously inn to the direction that you are being offered from the Field of All Possibilities. As you Turn Inn Ward more and more the ‘Ghost Guilt’s’ fade more and more. Especially as you consciously choose to make the change that is currently limiting you. Inn the Future you Field of All Possibilities Opens Even more! This Field is Found in the Void commonly call a Dark Night of the Soul or the Dark Night of the Spirit! When you notice this, simply nest in it and the Light Shines for you! There is a great harvest ready for you Taurus and all you have to do is catch the Blessings that are coming to you. Your inner life has matured to this point and you are starting to notice and catch; nothing new! However, for the Abundance to really flow the energy of past postponements, on your part, needs to be actualized! You, Inn the past, have watched many others climb the mountain of understanding deeper mysteries only to get lost or taken advantage of or giving inn to Ego! For you, ‘with Inn’, you will find the guidance, direction & pace to take, as you learn to ‘Let Go’ more and more so! Working toward a goal and letting that goal materialize at the right time is an important principle to follow! While you have participated in comparing yours to others it is your inner ‘Innocence’ that has supported you more-so! That inner Innocence has brought to you a New Vision that you can Now begin to Trust! Inn the Future your success will be sooo much greater than thought possible, that you will want to sit back and rest! Please only Rest for a short while and quickly get back to work on yourself! Great that you Gemini have done so much work that Now you can dump so much off ‘stuff’ with ease! Having done the work you have, you probably think the ‘issues’ are resolved/gone and are wondering how can this be! You have been comparing your work to others and one layer of the ‘issue’ to a time when the ‘issue’ was so much more problematic! Due to the Work you have done your ‘issues’ have become much more Ordinary; congrats! However, there is lurking in your unconscious ‘Guilt’ which is causing Exhaustion and you are Suppressing what you know to be True! The Truth of the Matter is that you have sooo much more Courage to move forward, NOE, inn taking on the more subtle aspects of your ‘issues’ which will yield a great harvest Inn your life, work and relationships! Whether you can see it or Knot, your Courage is Huge! Change has been constant for you and you can count of Change to Continue to unfold and lead you to An Adventure! The Child with Innn will become happy and feel safe coming out inn to the Rainbow Light! Morality is up for you Cancers to take a look at and to notice how proposed changes in what has been agreed to in various relationships, can produce a Moral Dilemma! Due to your Connection to ALL that ‘IS-Was-Can Be’ you have been navigating these potential dilemmas Masterfully! Make sure you Celebrate and Dance Continuously because this Energy Lubricates the Navigating! While you have been traveling inwardly some of you have also been traveling outwardly! The destination has been arrived at even though the destination appears to be a long way off! Your work is to stay in the Moment allowing the Harmony & Peace with-inn to be the rudder of the Navigation! It is the Great Divine Mother with inn that has aided you immensely in the most recent past! Stay connected the HER! Inn the Future there will be a tendency to hold back what needs to be given! Stay cognizant of this tendency and when you notice it Celebrate and follow through accordingly. Holding on to what you think you have, as if it is the highest possible, is the current mistake for you Leo’s. Practice contrary action in the face of the Moral Dilemmas you face! A Moral Dilemma can be actual and/or can be conditioning and belief! Spend some time examining these dilemmas using the Maturity you have Mastered and you will gain Patience in Places that can, will, must, make a difference! The acquisition of Patience, parleys into a state of Surrendered Excellence; which allows your view of your Mastery to be viewed by ‘self’ as Ordinary. This view of Being Ordinary Opens the Door for more Extra-Ordinary Blessings to Come! There is a Healing that has and is happening in the Face of Facing the internal need to Hold on to What you think you have. This healing continues to come from the Mastery you have acquired and as you let go of the fear that this Mastery could slip away! Facing this Fear also Opens the Field of Possibilities beyond your Imagination. In fact your imagination of what you could get, of the blessings that could come to you, of what you specifically hope for limits! Inn the Depth of Your Heart lives the Lover that you seek, that you see in another, that is the Presence of God with Inn and Inn another! This you know as a result of your practice of Turning Inn Ward! As you Turn Inn Ward the Ghosts (unresolved desires from the past) recede more and more! As your unresolved Desires fade there is an unconscious blessing that rises to the Surface of your Awareness! Learning to Live Inn a Moment to Moment Reality Brings More and More Blessings. It is due to the Courage you have lived with and that has and is supporting you to move forward in the face of Fear! In the Future there is inn the Depth of your Heart an Opening! That Opening at first, appears to be an isolated loneliness of despair, sadness and loss of hope! This appearance is Only as Real as you feed it with Fear! As you sit Inn the Depth of that Energy Feed it with Love and Playfulness moves you through the ‘Dark Night’ and Inn to the Light! Your Past Life Energy from Unresolved Desires can dissipate as you sit inn the Depths Inn Love and Playfulness! While you Libra are Being Guided by the Source with Inn there is the feeling of Being Exhausted! So, something obviously is out of balance! This Imbalance is coming from the Feeling of Being Alone, Isolated, Unfulfilled at a very deep place! Inn a place that you rarely take a look at and yet there is an exhaustion which when faced can dissipate leaving a fulfillment! The Totality of all that Is, Was and Can Be, is with Inn Grasp of your Awareness inn a way that can transform the Exhaustion Inn to Awareness, Comfort and Love with Inn the Depths of your Heart! Facing and Practicing sitting Inn the Source, with Inn, allowing the Source of Light to come Inn to your conscious awareness! While Inn the Present there is a pulling in opposite directions, this pulling is due to conditioning and beliefs which has ended serving you! Due to your Maturity Inn facing your conditioning and beliefs there is more and more Success that arrives inn to your Conscious Awareness that supports and strengthens you ability to examine and reprogram outdated conditioning! Past Sorrow is exaggerated by carrying the Burden Inn Time! Inn your past there was accumulated much that has aided you then and now! As you Trust deeper you can and will Fly over the hindrances of Sorrow and of Carrying your Burden! The Stress you feel is due to trying to divert attention and keep busy with anything other than facing your Conditioning! With Inn there is a deep will of Harmony that you are tapping inn to more and more as you face the conditioning that is tearing you up w Stress! Through all of this it is an accumulated Abundance Energy that has sustaining you and supporting you as you face Conditioning! Keep on this path of facing Conditioning and the Future produces a Change in you Being that is Epic! While you Sagittarius have been happy and playful why then is there Exhaustion? Exhaustion means there is an imbalance that is there! Under the cover of your awareness there is an opening that is Inn the Dark, Inn the Emptiness, Inn the Void that you are ignoring! Go Inn to settle inn to that Dark and allow your heart to Be Inn the Love that you Know! Let all the Love come to the surface and the tendencies to Hold On to What you think you have Opens! That Opening coupled with the Realization of the Innocence with Inn, that you already know, causes the Exhaustion to Dissipate! As that Exhaustion Dissipates a Knew Maturity Comes on Line! Facing the Exhaustion Really causes the Exhaustion to Reveal Blessings! What is up with the Exhaustion in your body, please Notice! Part of the Exhaustion is the feeling of Being an Outsider inn Life, Work, Community, Relationships! As you notice and face the elements of your Exhaustion buried Maturity come to the surface easily which aids you in balancing the elements of Exhaustion much easier than you can imagine! The Fact that you regularly plug into the Energy of Creation & How the Existence of All that Is, Was and Will Be can be found with Inn, has caused you to allow your self being depleted by the sense of being an Outsider! Face this sense and a knowing ness about how you are really quite similar to many! Being and Outsider is a feeling and a thought that has been reinforced over and over! Tap inn to the Maturity you have earned is supported by your Knowing the Experience of the Existence with Inn! Experiencing the Existence of the common energy is ALL is right next door to an incredible Maturity that Awakens the Realization of Being Part Of! Inn the Future your ‘Turning inn’ to the Depths of All that Is, becomes a medicine Inn your Life and Personal Development! 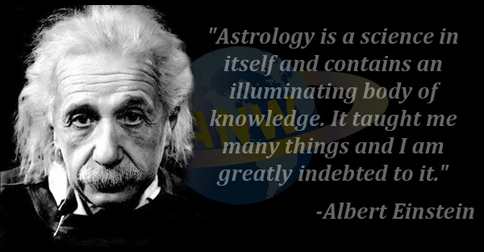 The Need to Be Inn Control has been plaguing you Aquarius for some time! While Being Inn Control gives you a sense of Being Safe it is actually just the opposite! You know this from you participating in the Parts of Life that Open to what is Beyond Illusion! The Fool with Inn is hidden and a valuable energetic ally; check it out! The Rebel with Inn causes you to take Control and supports the Opportunity to take a look at aspects of the life that are ‘wanting’. With Inn is a greater Harmony than you Realize or are tapping Inn to which you can begin to utilize Inn Silence and setting an intention to tap Inn! All of this leads you that are persistent to Living Much easier Inn the Flow Moment to Moment Open to the Highest Arriving on its Own Schedule! From the Past there is a Rising Up of Sweetness from Anger and Mindless Plodding! This Rising up comes from an Opening of Awareness in your Perceptual Experiencing which results in a greater seeing/experiencing Beyond Illusion! As you face these Internal Energies there is a preparing of you for a Transformation; count on it! This Transformation causes an awakening of a Heart Felt Need to Begin to Share More of Who you are and what you have! Your ability to Let Go and to Surrender has resulted Inn more Rising Up than Most! Please Know this and Keep Consciously Participating in Letting Go; an Empty Cup can receive more! This Rising Up and taping inn to that that is Beyond Illusion Transforms and sets the stage for an incredible Healing!